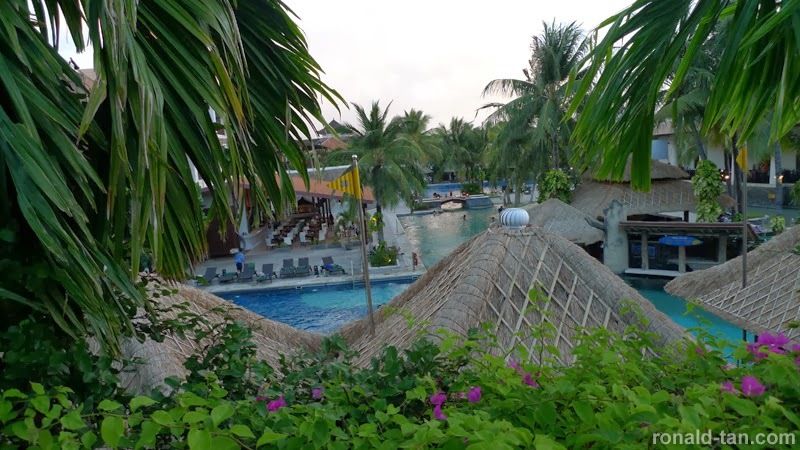 Bali accommodation for my trip I stayed at the Hardrock Hotel Bali in Kuta, just a short walk to some great restaurants and a beach in front just a few minutes walk to Kuta Square and Discovery Mall. We wind through the formalities at the airport, as we had booked the express immigration clearance services. We met with the agent for the Hardrock Hotel Bali who took our passports and arranging Visa we arrived while we waited, we then go through the gate while a separate agency dealing with immigration, the longest wait we are for our bags to come out on the baggage conveyor! It is certainly easier than standing in line, especially with a 1 year old in tow. Checking fast and efficient the staff really friendly and helpful which is something that carries through the entire stayed. We stayed in a deluxe room, which has seen better years and certainly could do with a makeover but provided with a cot at no extra charge. 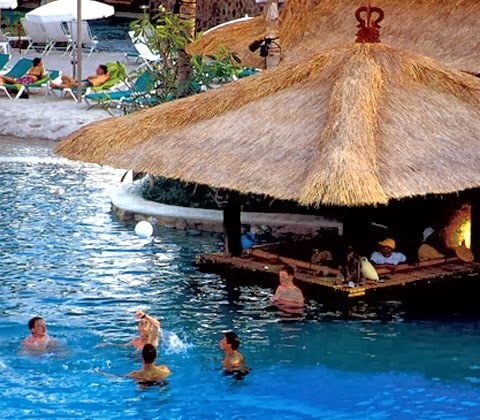 Pool is very large with 2 main areas joined in the middle by a sandy lagoon with an island and swaying palms. There are cabanas around the pool for private use at 250,000 to 300,000 IDR for the day, there is also a shallow pool with a children's water play also several waterslides to keep the kids busy, for adults there is a swim up bar, and a splash of bistro and maids to keep your drinks fresh. The buffet breakfast is sumptuous feast with a large variety of foods to choose. Either a typical Western big brekky of bacon, sausage, fried corn, potato wedges and eggs any style you could ask for, or Asian buffet yellow rice, fried noodles, crackers, chicken porridge , syam soup and a delicious assortment of pastries and cakes, breads and croissants and of course tea and coffee and choose juice. Taboo teen hangout with Cinema, video game room, Bar and Lounge and Pool Table, no adults allowed! Kids Club with daybeds toys and activities for children from 4 to 12 years. 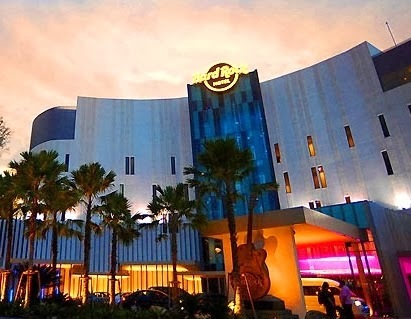 All in all the Hardrock Hotel Bali is a great place to spend your vacation in Bali, although the rooms are in need of a makeover positively fantastic Swimming Pool great breakfast and the staff are very friendly remote negative way, I for one will be back next year with my family.